Good quality stone block paint effects will emulate the building practices and constraints involved in stonemasonry and construction. Here the arch is held in place by the key stone in the middle section. 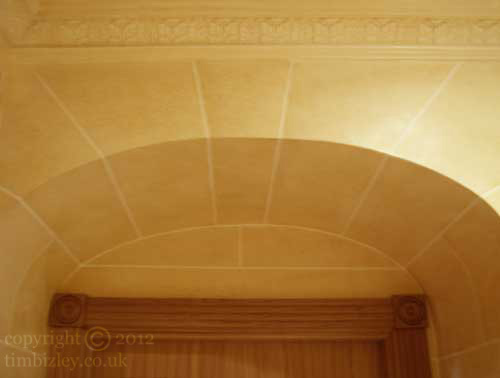 Following the use of the real material adds authenticity to the effect. The eye is more easily seduced by that which the mind expects to see. Attention to detail is critical to the overall quality of the finished product. Private client work London U.K.